When an injury occurs, the most important first step is to get medical care. However, if the injury was due to another person’s negligence, it’s important to contact a lawyer. Unfortunately, many individuals are unsure when, or if, they need legal assistance and sometimes even settle their claims before ever seeking advice. For those who are injured, insurance companies often try to rush the injured to agree to a settlement in order to avoid paying that person more money or even the true value of their claim. Those individuals who suffered serious injuries because of someone else’s negligence may be pushed to settle their claim by the negligent party’s car insurance company. This can result in the injured individual feeling pushed, frustrated and not given a proper settlement for what they suffered. Every word can be recorded, saved or written. Therefore, it is important to be careful about what you say to the insurance company regarding the accident and injury. Remember that car insurance companies will hire claims adjusters to work over the phone and handle the claim – which is usually done in the best interest of the insurance company (not you). Before ever reaching an agreement, you must be sure that your medical or long-term care costs will be covered. Additionally, each state has a statute of limitations and procedural requirements. In Georgia, you generally have two (2) years to file a claim before your rights expire. Not every accident or injury has to involve a lawyer. Take for example, a fender bender that resulted in both parties being uninjured and minimal property damage done. In this instance, we suggest that you save time, phone calls and meetings because, more than likely, you don’t need to hire an attorney. When an accident occurs and both parties are blaming one another – it is time to seek counsel. If someone is seriously injured in the car accident – it is time to seek counsel. If you’re involved in an accident with an uninsured or underinsured motorist, you should always retain counsel. Again, each state has set a limited time to file suit against an uninsured or underinsured motorist so don’t delay. A lawyer is your own personal advocate. They work to obtain money to compensate you for your injuries and damages. The main question that you should ask yourself before hiring a lawyer is, “Am I going to do better or worse with help from a personal injury attorney?” While the circumstances of your specific case are factors that govern the outcome of your case, remember that the insurance company’s main goal is to minimize how much they pay you – and they have lawyers that help them reach their goal. Should you have a lawyer too? How is a personal injury attorney paid? In Georgia, personal injury attorneys generally work on a contingency fee basis. 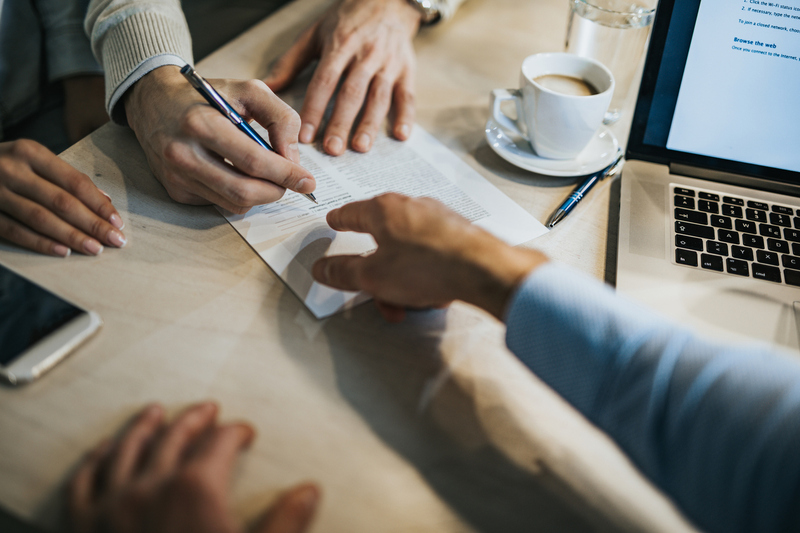 At Kaine Law, we always work under a Contingency Fee Agreement. A contingency fee means that the personal injury lawyer is paid a percentage of the total recovery obtained for the injured victim. If no recovery is received, the attorney does not get paid. While personal injury attorneys can generally charge whatever fee percentage they want, the majority of attorneys’ fees are only 33%. This percentage can, and often does, change if a lawsuit is filed. If a personal injury lawsuit is filed, the attorney’s contingency fee percentage usually shifts to 40%. Every case is different and the timeline for resolving a case varies. The timeline of a case is largely based upon the extent of your injuries and the medical treatment that you require. Settling a case quickly might result in undervaluing the claim and not receiving full compensation for your injuries. Don’t act too quickly and leave money on the table. You want someone on your team to fight for what is yours and that is exactly why we hope these tips can help you make the right decision. If you’re trying to decide whether to hire a personal injury attorney, call us. We always offer free consultations so there’s nothing to lose by asking questions. If you don’t call, you’ll never know. Kaine Law is a personal injury law firm representing injured accident victims in Georgia. With offices in Atlanta, Conyers, Lawrenceville and Stockbridge, Kaine Law’s personal injury attorneys specialize in representing injured motorcycle accident victims, injured car accident victims, injured dog bite victims and injured pedestrian accident victims. Kaine Law represents their injured accident victim clients using a contingency fee agreement which provides that there are no legal fees unless we win.